Use the GoDaddy 35% OFF copuon to get 35% off for New customer’s all new orders( except taxes, transfers, renewals, bulk pricing, premium domains. ) at GoDaddy.com in 2019! cjcrmn35 – GoDaddy 35% off for All New Orders. 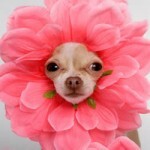 cjc1off30 – GoDaddy 30% OFF All New Orders. 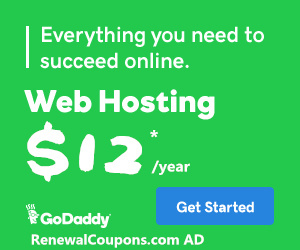 Expire April 30, 2019.
cjc2off30 – GoDaddy 30% off for all Orders in 2019.
cjc28off1 – GoDaddy 28% off for all Orders in 2019. 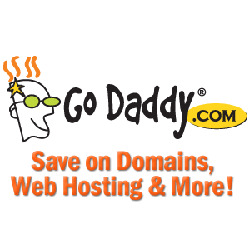 Note:Try different godaddy coupon at Renwalcopuons.com until you find the best deal for your order. I need a renewals code from a biz domain plz. @dany no, you need to let that crap drop and get a dotcom!